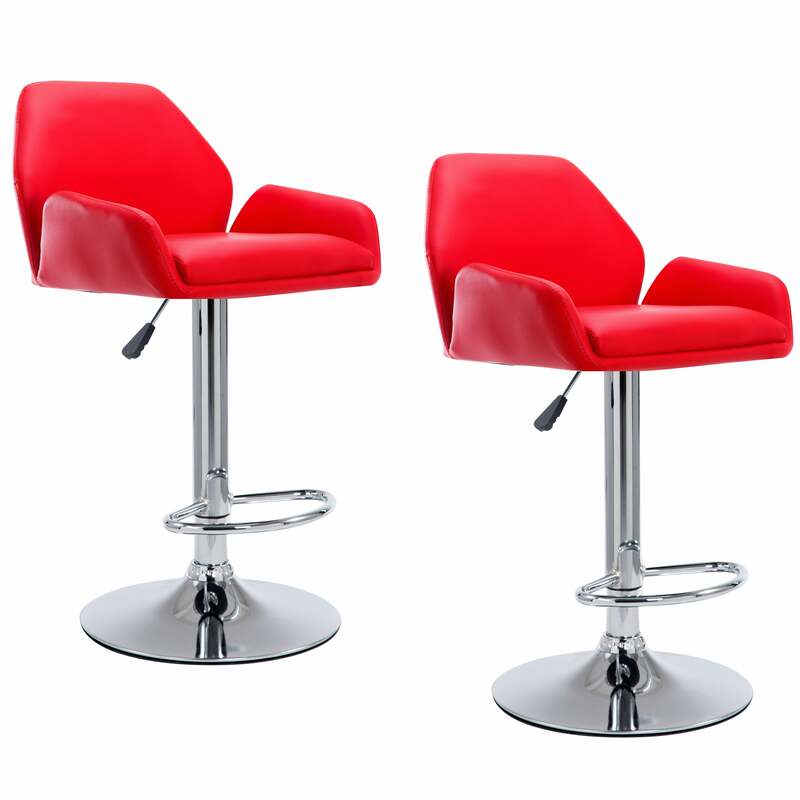 A PAIR of modern design stools featuring angular shaped backrest and armrests that provides generous sitting space. Well padded and upholstered in high quality red faux leather. Easy to wipe clean and maintain. Mounted on chrome column for a sleek look. Height adjustable, 360 degree swivel. Quality and durability tested by BIFMA 5.1 & SGS tests. 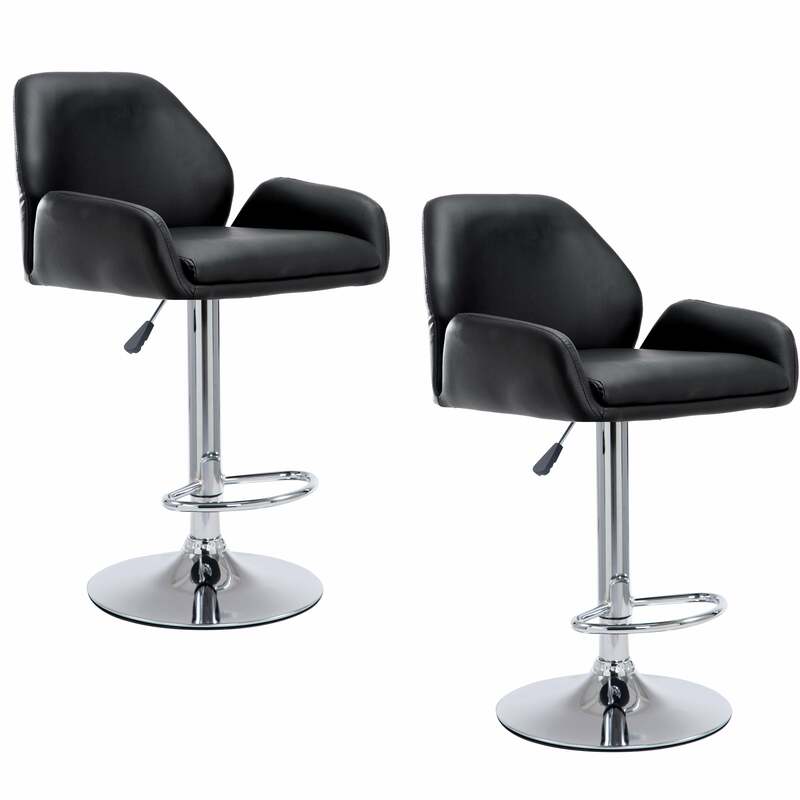 1 Cartoon contains 2 x bar stools. Flat packed with all parts including allen key. No additional tool needed. Easy to assemble. Shipping package size: 57 x 53 x 53 cm.